Progress on the rebuild of the engine for the 1953 Ford being prepped for the RTM rally has been tedious and taking well over the estimated time due to difficulty in obtaining parts. The engine has been fitted back in to the car and has since come back to my workshop for more adjustments. My good friend Bria at Beaudesert Exhaust has also completed the exhaust system completed. This is the new handmade vacuum plus mechanical advance distributor put together by Peter Hopkins from Performance Ignition Services Nunawading Victoria and it is a real Scorcher!!! The electronic igniter replaces the old style breaker points system and delivers a more powerful spark and produces superior performance. 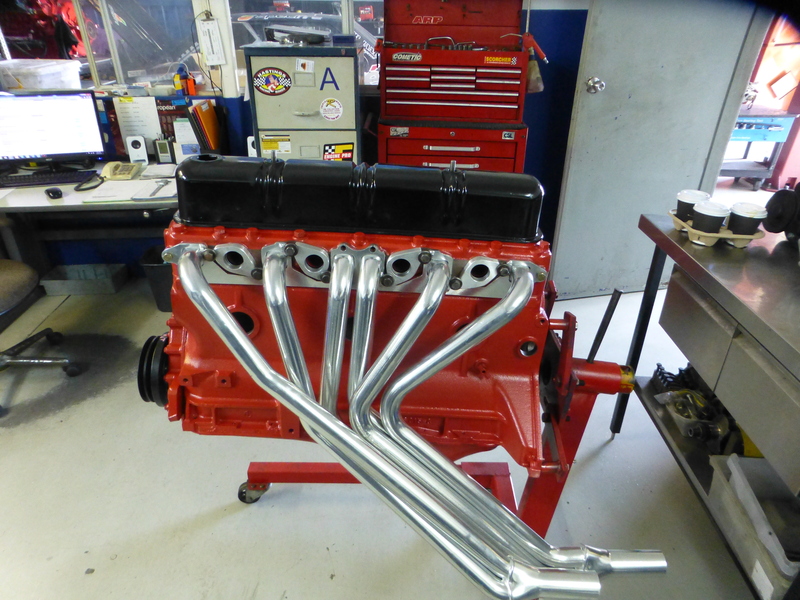 The engine has been rebuilt inside and it is now time to fabricate the manifolds. Both inlet and exhaust manifolds need to be hand made. The original Holley carburettor on the right needed to be replaced so I have fitted a modern 4 barrel Holley. The inlet manifold has now been fabricated to take the 4 barrel Holley. The manifold has been fitted, doweled and will be removed and bead blasted and refitted. This is really beautiful work carried out by Troy Dunstan from Arundel Cylinder Heads just 15minutes drive from my workshop.